The Pittsburgh Penguins have some good news, as both Sidney Crosby and Kris Letang will return to action tonight as they face off against the Minnesota Wild. Crosby missed action on Monday against the Columbus Blue Jackets and was listed as out with a lower body injury, but he said he felt good after the morning skate. The Christmas break seemed to benefit him and he took time to skate in a men’s league in Nova Scotia. Letang, meanwhile, will finally debut under new Penguins head coach Mike Sullivan. The blueliner has been out of action since December 9 after suffering an upper body injury in a game against the Colorado Avalanche. He missed the next six games, but that doesn’t mean he’s out of the loop. “He’s sat in on all the meetings we’ve had, and even though he hasn’t been in the lineup, he’s been in every video meeting that we’ve had, he’s listened to the conversations in the locker room, I’ve had conversations with him about some of the subtle changes and tweaks that we’ve made,” Sullivan said. In 25 games this season, the 28-year-old defenceman has 14 points. He’s a critical part of the Penguins’ offensive attack and his ability to fuel action from his own end has been missed. It’ll be interesting to see how he fits with Sullivan’s system. 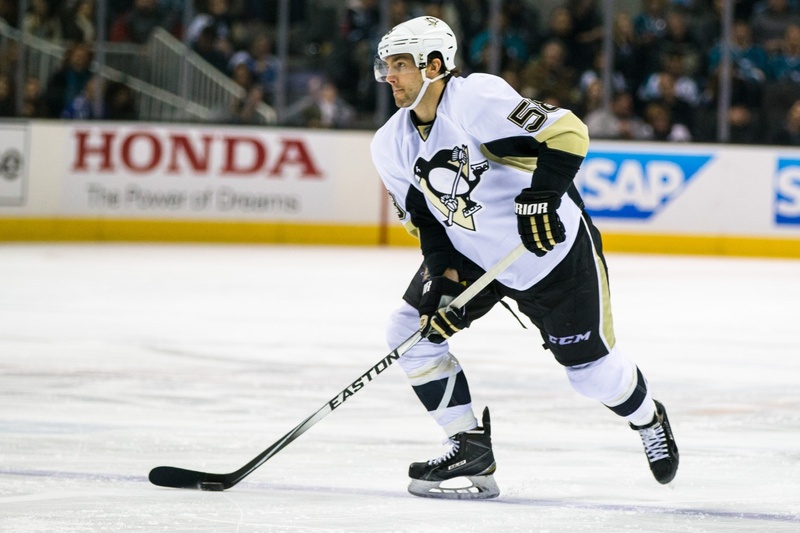 Crosby, as has been well-publicized, has struggled this season by his standards. His 22 points in 32 games have been well below his normal totals, plus he’s only scored six goals – three of which have come on the power play. The Penguins have to be looking for victory against Minnesota. They’re 16-14-3 and haven’t found their game as of yet. They’ve made mistakes in terms of team-building and don’t have an identity right now, with an inability to put the puck in the net standing as their most significant problem. They have one of the lowest shooting percentages in the NHL, plus their goals-per-game ranking has been in the league basement for most of the season. It’s possible that the returns of Letang and Crosby will boost Pittsburgh’s fortunes and hope does spring eternal, but the truth is that this team’s issues exist on a much deeper level.